THE STORY - In 2008 the Taj Mahal Palace Hotel in Mumbai becomes the target of a deadly attack by Pakistani militants. Dozens of people are held hostage as fire races through the building. THE GOOD - Anthony Maras' debut feature takes a page out of Paul Greengrass' playbook and plunges the audience headfirst into the terrorist attack on Mumbai's Taj Mahal Palace Hotel, focusing on the guests and staff who want nothing more than to stay alive. Strong performances by Dev Patel and Anupam Kher as staff members trying to save all those trapped only helps to ramp up the suspense. "Hotel Mumbai," Anthony Maras' docudrama based on the real-life terrorist attack on Mumbai's Taj Mahal Hotel in 2008, is in many ways disturbing for the right reasons and in one glaring aspect, disturbing for the wrong one. The film is the first feature for Maras, an Australian filmmaker who has been primarily renowned for his short films, particularly 2011's "The Palace," which found acclaim at Telluride and other festivals for the "you-are-there" feeling for its fictional depiction of the 1974 war in Cyprus. Maras has brought that same documentary-like feeling to "Hotel Mumbai," and he wastes no time in getting the action started. Before we are even settled in our seat, we find ourselves in a boat with 10 young Pakistani men who land on the Mumbai shore and quickly fan out through the city as they carry concealed automatic weapons. Two of the men began mowing down commuters at Mumbai's train station, and two more were downtown-bound, shooting up the diners at a sidewalk café. The rest head to their real target, the pride of Mumbai, the luxurious Taj. At the Taj, the motto is that the guest is God, a tenet that is drilled into the hotel's 500-member staff, which includes Arjun (Dev Patel), a waiter who shows up late for work that day because his baby is sick and he's lost a shoe en route to work. This will not do for the boss of the kitchen, world-class chef Hemant Oberoi (Anupam Kher, whom you may remember as Kumail Nanjiani's dad in "The Big Sick"), but he allows Arjun's infraction slide this one time as there are several important guests checking in. Among them are American architect David (Armie Hammer), his Iranian wife Zahra (Nazanin Boniadi) and their British nanny Sally (Tilda Cobham-Hervey) who is caring for the couple's baby. Also arriving is Vasili (Jason Isaacs), a sleazy (but important) Russian businessman. David, Zahra, and Vasili are all having dinner in the hotel dining room when the first shots ring out from the lobby below. Thanks to the first-rate editing of Maras and Peter McNulty, the lobby shooting scenes crackle with excitement when panic breaks out as guests and staff scramble to avoid the assassins' bullets. Maras' directorial style here very much echoes that of Paul Greengrass ("July 22") in its ability to place the viewer in the midst of chaos without the comfort of seeing the carnage from a distance. You're in the middle of it, and like the characters onscreen, you want to get to a safe place, but Maras won't let you off the hook until he's good and ready. Upstairs Arjun is heroically trying to gather together the guests to find their way out of the dining room, which will be an inevitable target, while downstairs Oberoi is giving his staff, especially those with a family, permission to leave the hotel without shame. Few take him up on his offer and appear determined to protect their guests from the terrorists. As the guests and staff huddle together to strategize their escape and the terrorists go to their corner to plot their next move, the film, which has been very strong up until this moment, becomes slightly more wobbly when the time comes for developing characters. No quarrel with the hotel staff characterizations. Patel makes an enormously sympathetic hero, rising up beyond his station to lead the escape for the guests. And Kher is absolutely commanding as Chef Oberoi, who has the weight of stepping up to ensure the safety of not only the guests and also the members of his team. My only quarrel with the depiction of the Indian staff is that there were too few of them featured -- Arjun and Oberoi are the only ones we are allowed to get to know. And couldn't even one of the female staff be shown to be as heroic as Arjun? Just askin'. Among the guests, Hammer is largely wasted in the underwritten role of David, whose sole mission appears to be trying to get back to their baby several floors above. A noble plotline, but beyond that, David winds up becoming little more than target practice for the terrorists. Boniadi is fine as Zahra, but Isaac is having a blast as the Russian sleazebag, injecting a welcome bit of levity in a film that at times desperately needs it. Maras' most interesting character decision is to take time letting us get to know the terrorists. They're basically just kids with guns, as terrified as their potential victims, as they simply find themselves following the plan drawn up by presumably someone else. By no means does Maras try to justify what they're doing, but he does show them calling their parents or having a laugh before what they know will be their inevitable death, which adds an extra dimension to the film. While the film evokes "United 93" both in its directorial style and terrorist subject matter, it differs very much in tone. The Greengrass film is largely a suspenseful character study inside a plane with a minimum of violence actually shown onscreen. 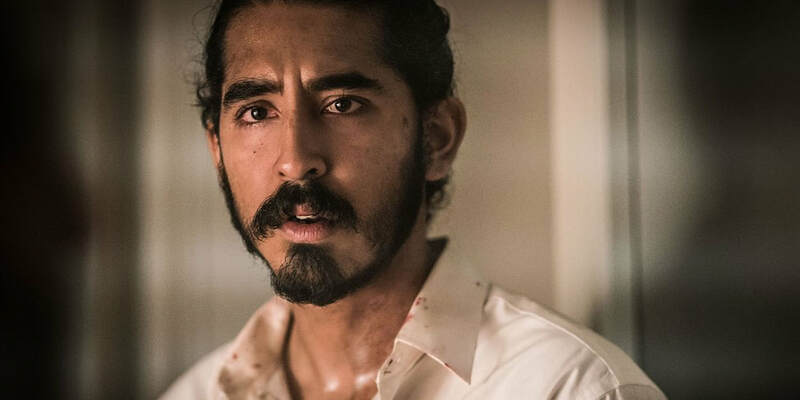 The tone in "Hotel Mumbai," however, is very different, as the carnage happens early and often, with a body count as high as any movie I've seen in years, so go in forewarned. Most disturbing, however, are the scenes shown from the terrorists' point of view. For example, Maras at times places his camera just behind a terrorist who sees a porter trying to escape to safety. He raises his gun and POW! Down goes the porter. There's a housekeeper! BAM, got her! In those moments, "Hotel Mumbai" plays much less like a docudrama and more like a first-person-shooter video game, provoking a feeling in the viewer that is as unsettling as any in the film, and that's not necessarily a good thing. Still, "Hotel Mumbai" marks an impressive feature debut for Maras, despite the fact that his script at times lapses into 1970s disaster movie characterizations. (You'll know them when you see them). Maras otherwise has a firm grip on his material, particularly in how deftly he handles the film's challenging first act. "Hotel Mumbai" may not exactly be date-night material, but the film is certainly worth seeing for many reasons, not the least of which is the chance to witness the assured feature debut of a very promising filmmaker.